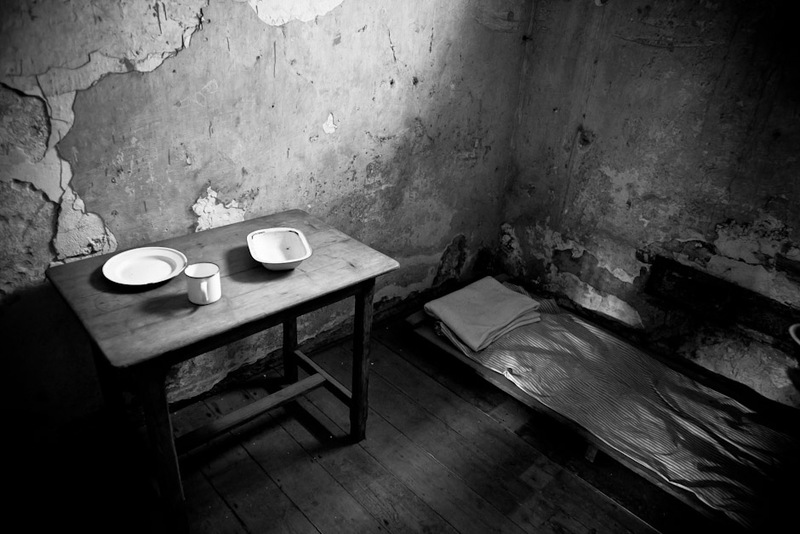 Insufficient lodgings at the Cork Gaol. I guess hardwood floors and a place to rest your weary head is better than nothing. No playstations or conjugal visits. Intriguing shot. Makes your mind wander. Love the streak of extra light on the bed behind bars! Would be a good place to put *cough* certain houseguests…….